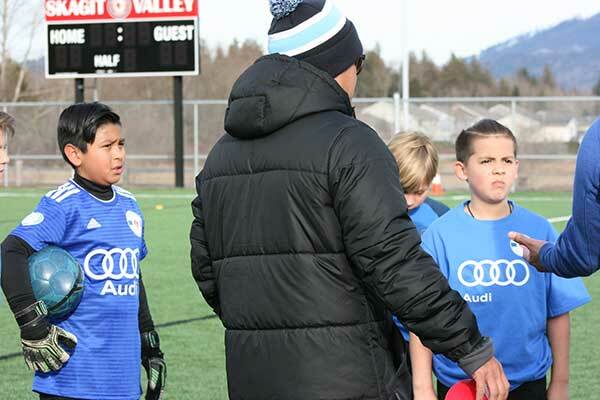 In 2013, Major League Soccer (MLS) entered into a partnership with the French Football Federation (FFF), sending over select player development figures from MLS academies to be trained in the Elite Formation Coaching License (EFCL). The EFCL is the MLS version of the French Formation License which has a proven track record of success in developing young players and has helped place more French professional players in Champions League teams than any other certification or methodology. 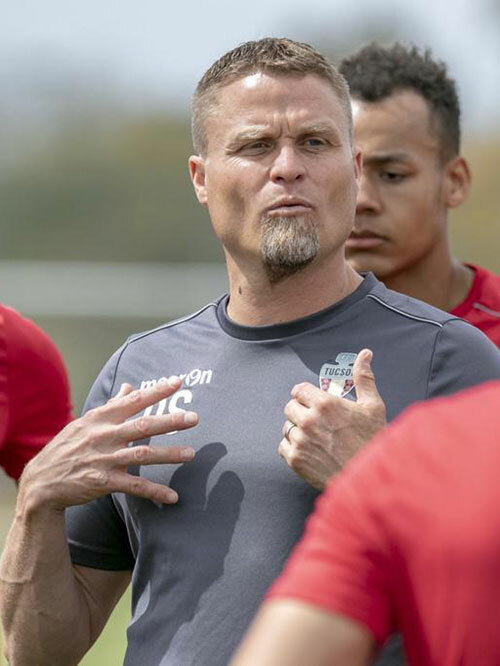 One of the first graduates of this program was Sound FC’s Technical Advisor, Darren Sawatzky. 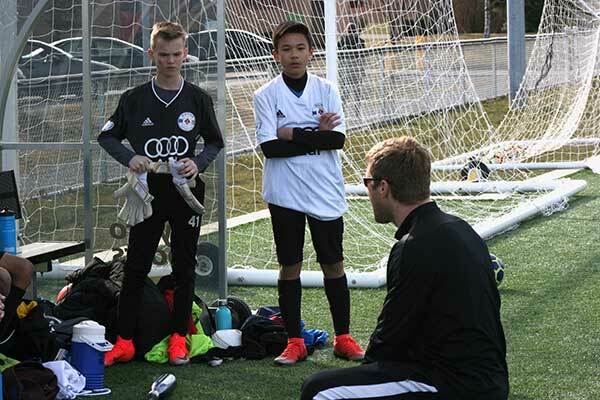 Darren works with our directors and coaches to apply the same training framework that is currently used in France and is being implemented in the MLS youth academies. We have to open their minds up, pump them full of information, then back up. Sound Football Club coaches also attended ongoing workshops observing Darren’s work with the 2018 WPSL Champions, Seattle Sounders Women as well as the Sounders U23 men’s team. Coaches are also evaluated on how well they implement the new framework. A critical aspect of their job descriptions is understanding the psychology behind how young players acquire and retain information at different ages helps coaches master specific language that leads athletes on a guided discovery and gives them the mental skills to adapt to any situation. Sound FC Coaches develop and implement a consistent club-wide training framework focused on educating players to adapt to situations in real-time, providing them skills they can use on and off the pitch. This consistent platform will be measurable, making it easier to identify players ready to move to the next level. Our COACHES are trained to function more as educators, or teachers. Borrowing from basic principles of sport and child psychology, they take players on a “guided discovery” instead of “over coaching.” As educators, their goal is to help the players develop basic tactical skills, using critical thinking to solve puzzles they encounter in game play instead of constantly being provided the answers. These tactical skills, combined with a player’s natural athletic talent, are key to success in soccer and also contribute to valuable coping and problem-solving skills players apply off the pitch- at home, school, and in society. Our TRAININGS follow a “whole, part, whole” structure which begins with game-like activities designed to encourage a specific issue to occur. The coach sets up the situation, then observes and listens as the players encounter the issue naturally. Coaches then isolate the issue, breaking it’s parts into technical and tactical exercises with lots of repetition teaching the principle within the game situation. Finally, the session moves into small-sided exercises and full-sided games, pulling out those new skills and applying them in game-like scenarios. “The whole idea with whole/part/whole is related to opening the children’s pathway to take information in and then delivering it well so you maximize potential growth,” explains Darren. – Parents can help by asking probing questions that allow players to discover answers on their own. – Listen to athletes verbally identifying and solving issues amongst themselves during a match and praising players for trying out a new skill. The result is a club culture that promotes development of our players and educators as independent, creative leaders, giving them the tools and opportunity to practice creative problem-solving in all areas.